My new project is going great. Thanks for asking. I’ve had to learn a whole new language. I like to call that language pictures. You see, I’ve been on Instagram with a friend trying to capture the light and bright parts of midlife. I am not fluent in pictures and it’s been both a joy and a challenge. People like it. I think women in their 40’s and 50’s are exhausted by the rules that women of a certain age are meant to follow. Women of a certain age should be making up whatever rules please them. Full Stop. In any event we’ve had a few sponsored posts on Instagram, a few sponsored blog posts, and quite a bit in the way of earned media. We love borrowing clothing, we are delighted to be gifted samples, and if it’s just a blog post sometime a hi-res image is all we need. I’m cranky though. My kid is getting ready to leave for college. I loathe the theme I bought for the site. The cat puked… you get the picture. In the middle of my crankiness an email came through. I’m redacting all identifying information. My name is [redacted] from[redacted] and we are in love with your blog and Instagram! In case you are not familiar with us, we are an online retailer of luxury [redacted] at awesomely discounted prices. Wondering if you would be interested in collaborating with us and featuring us and our products? We have over 17,000 name brand products to choose from, so feel free to poke around the website a bit and check us out! [redacted] . That was nice. Flatter us and then ask us to collaborate. What did you have in mind for a collaboration? We would love to have you guys do an Instagram photo and blog post for us. So with influencers we like to focus on[redacted] since it is our largest category. Along with[redacted], we send every influencer a[redacted] nail file and super cute (exclusive to influencers) [redacted URL] compact mirror and ask that you incorporate one or both into the photo. We ask for timely posts, that you hashtag #[redacted], tag @[redacted] and mention that you got the product on [redacted URL] . You can also mention our great discounts! For blogs it is basically the same as above, and we require you to include custom links to us and the product featured which I will provide. If all of that sounds good please browse our site and send me the links to 2 products total that you would like to feature! This sounded like a great idea so I gave the marketer a price for the work. I was certain that this was a marketer reaching out to us as there were clear requirements around the posts that indicated a working relationship. At this time we are only working with influencers in exchange for product. Is this something you are open to? If not I will keep your rate on file for if we ever explore paid social in the future. I should not have responded. It’s a trap! But I did. Am I open to working for product? No… but I… ughhhh…. Here’s my reply. It’s not how we work when the client dictates the content. If things change we’d love to hear from you. Just want to understand – you are open to posting in exchange for product if you dictate the content? How would what you produce differ from the description I provided of how we usually work with influencers? How would that be different???? Dimwit you don’t get to dictate the content! It’s kind of hard to explain. I’ve been blogging since 2006 so I rather enjoy working with publicists in a traditional manner. ie you give me information or access to products (happy to return items) that other people don’t have and I have the benefit of publishing first. If someone wants a blog post or an Instagram post and has requirements that’s marketing. Marketing requires budgets. It’s a lot of work to keep people happy with sponsored content; people being both our readers and the marketers. With that being said, [redacted] really isn’t a thing we’ve covered and I can’t say we have a tremendous need for it in our current timeline. We’ll be working on gift guides starting next month and that might be a place where we need an image or a limited edition [redacted] or even just knowledge of upcoming sales, specials or launches. And then this came. This person cannot or will not read. If you are this person’s boss take their email away. I am still not sure if I understand. So you are willing to work for product if it is product that you have first access to? 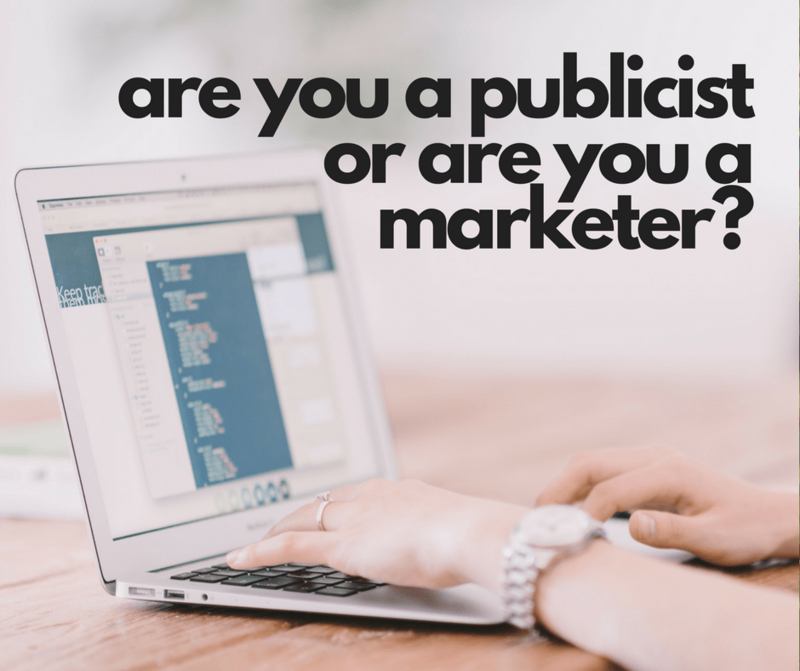 Are you in PR or marketing? If you are in PR and would like us to consider a feature or a placement please let us know what you have that is interesting and we will consider. If you are in marketing and want to dictate links, placements & disclosures please send us a check. We do not work for publicists. We do not work for product, unless it’s a BMW, we will work for that. Currently we are not in need of product, perhaps next month when we are looking to make our holiday shopping guides. Okay. At this time we are only working with influencers in exchange for product. I will keep your rates on hand for if we ever explore paid social in the future. Don’t take their email away. Take their job away. How does this even happen?